This is, I'll admit, one of those things I just never got around to looking up but came across this today. 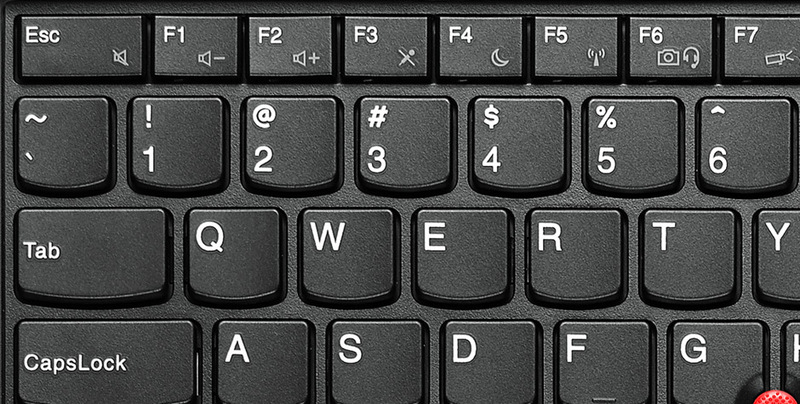 Laptops usually double-up the jobs of the Function keys (that top row of F1-F12) to do things like toggle the Wireless adapter on/off, or change the screen brightness and so on. Usually, you hold down the "Fn" key (down in the bottom-left of the keyboard) and press the corresponding Function key. So, in the example photo, you'd press Fn+F5 to toggle wifi, or Fn+F1 to lower the volume. Here's a page that will walk you through the possibilities of making these changes permanent so that you decide which functions you want available.